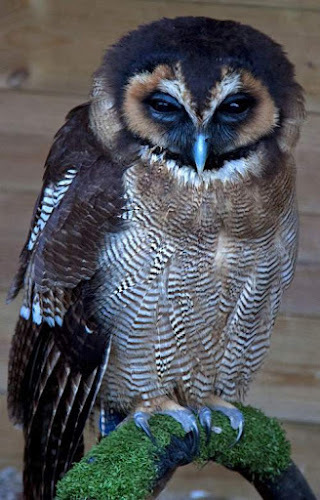 The brown wood owl (Strix leptogrammica) belongs to the family Strigidae under the order Strigiformes. 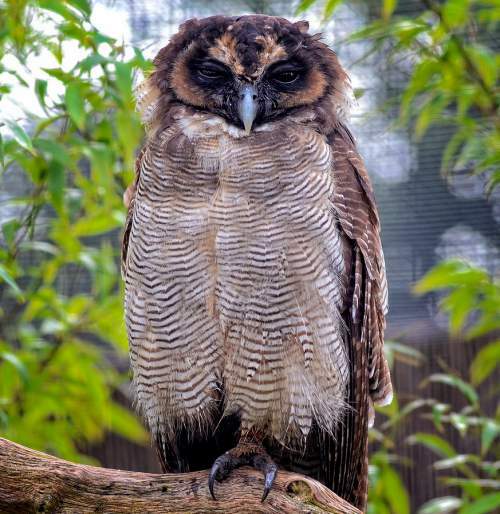 The family Strigidae was introduced by the English zoologist William Elford Leach in 1820. The family Strigidae is a large family having nearly 200 extant species in 25 genera. 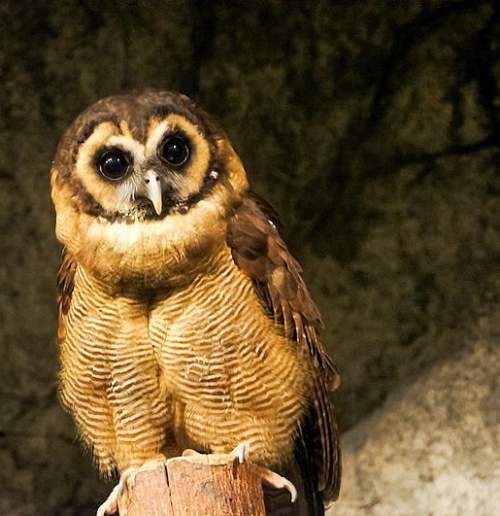 The Strix genus has fifteen species, which are nocturnal woodland birds. 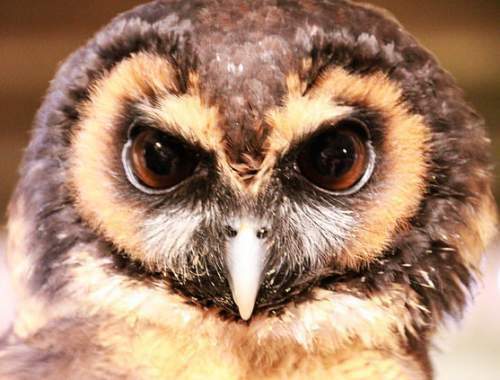 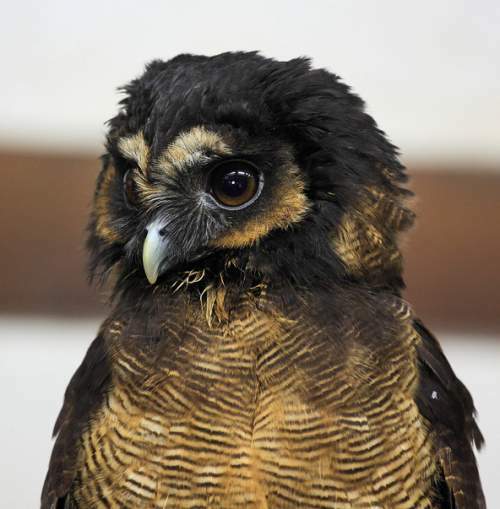 The genus Strix comprises medium-sized to largish, robustly built, powerful and round-headed birds, lacking ear-tufts. These species have relatively large eyes, brownish, yellow, orange and rufous plumage. 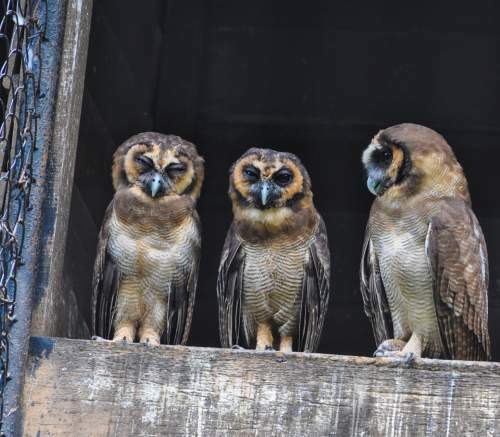 These birds have cryptic plumage and several species have differently colored morphs. 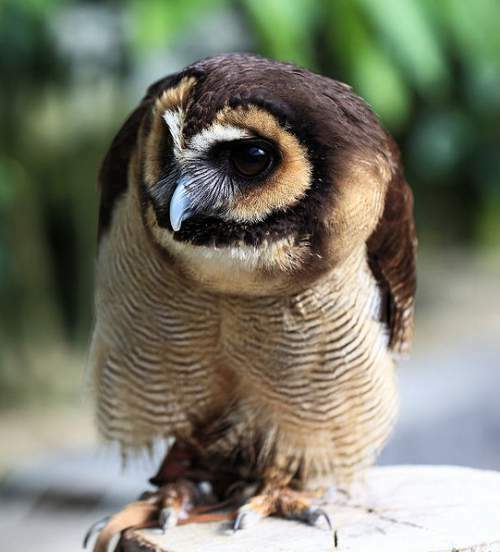 Although the genus Strix was established for the species without ear-tufts in Strigidae by Linnaeus in 1758, erroneously, the name was applied to other species in the family Strigidae by several authors. 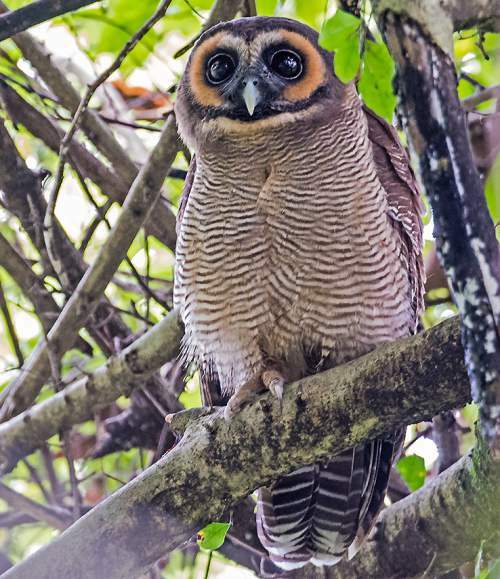 Current topic in Birds of India: Brown wood owl (Strix leptogrammica) pictures.